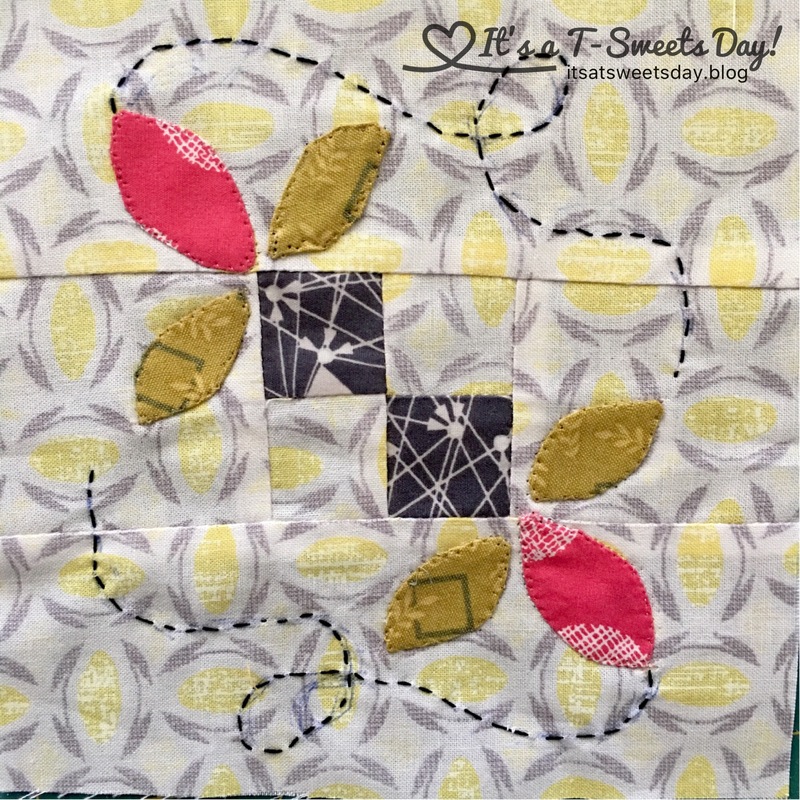 Sew On and Sew Forth! 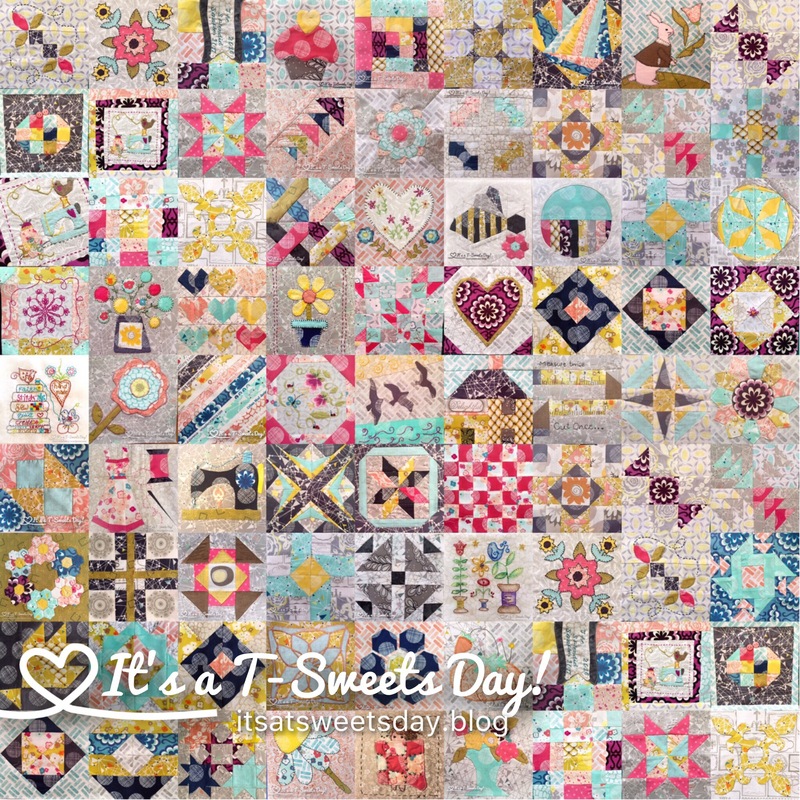 -Splendid Sampler – It's a T-Sweets day! 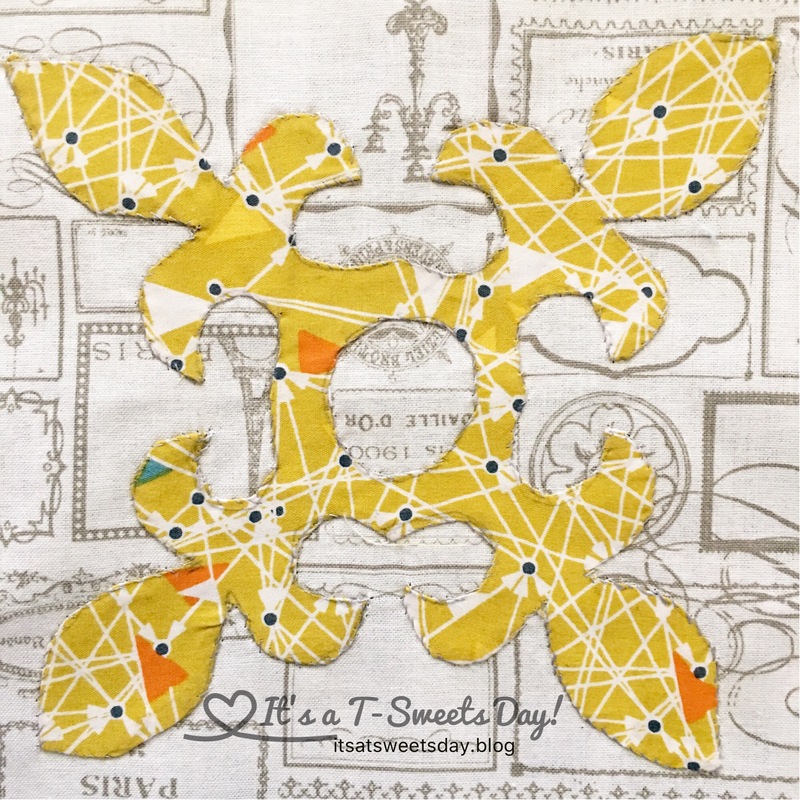 Published on February 22, 2017 February 22, 2017 by Tracy @ It's a T-Sweets Day! 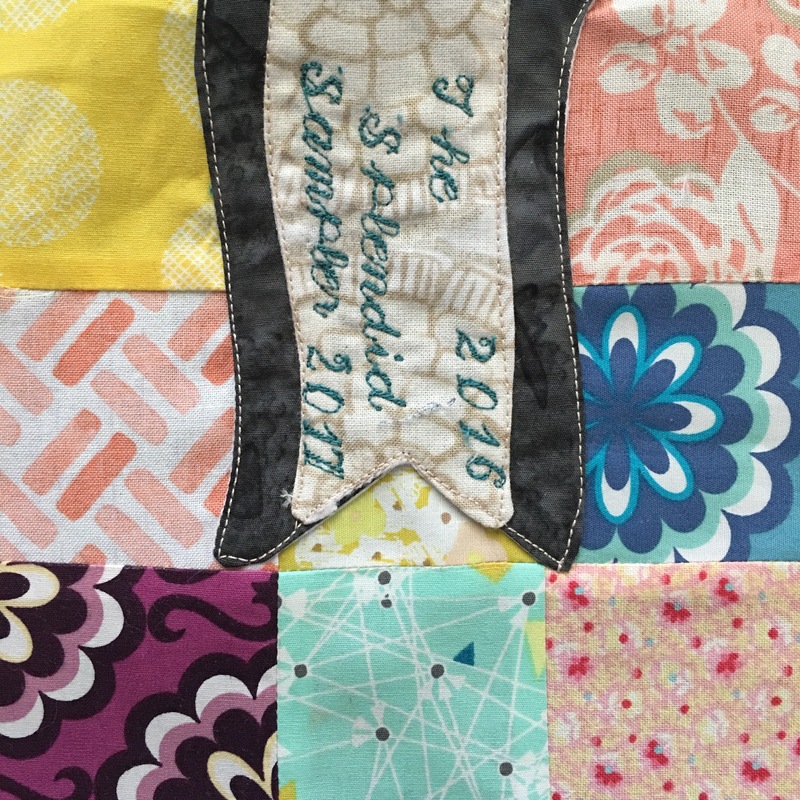 I am so impressed with all of the finishing on everyone’s Splendid Samplers! They are all so so beautiful:). It makes me excited to finish mine. The end is in sight…..well, maybe a few more weeks of piecing and then on to the setting. Gran’s Button Jar– This was my favorite:). I am FINALLY getting the hang of needle turn embroidery and must admit that I like it. If there is one thing I have taken from this splendid journey, it is that I love to embroidery. Who knew?! First Purse-Aren’t those little buttons for the clasp adorable? 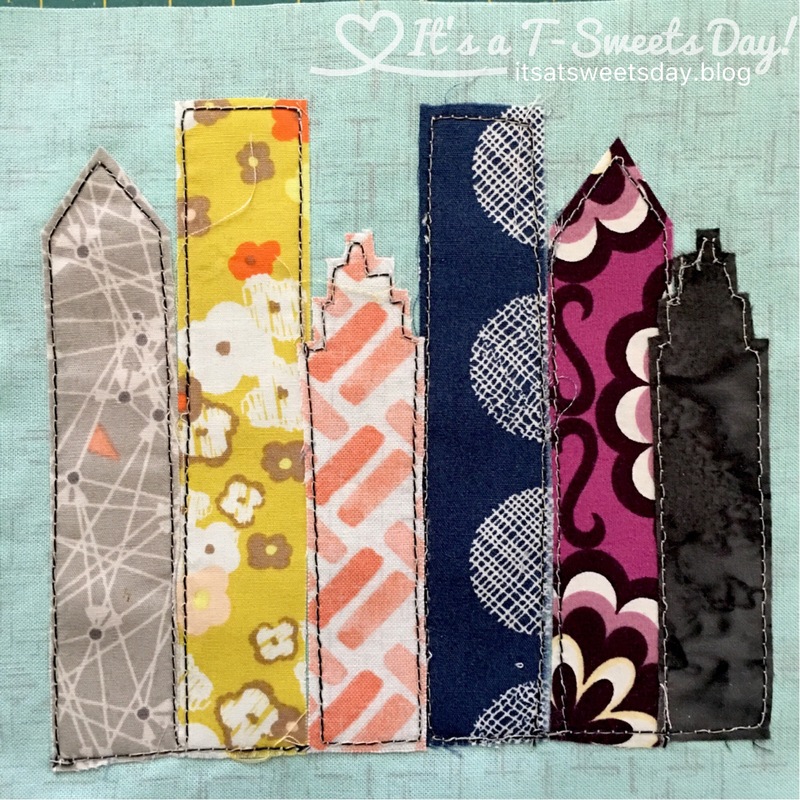 Skyscrapers- I tried her raw edge appliqué. I think it fits this modern block. Dedication Rose– I’m not crazy about the machine stitched black appliqué stitch, but oh well. I have quite a few of those “oh, well” blocks. 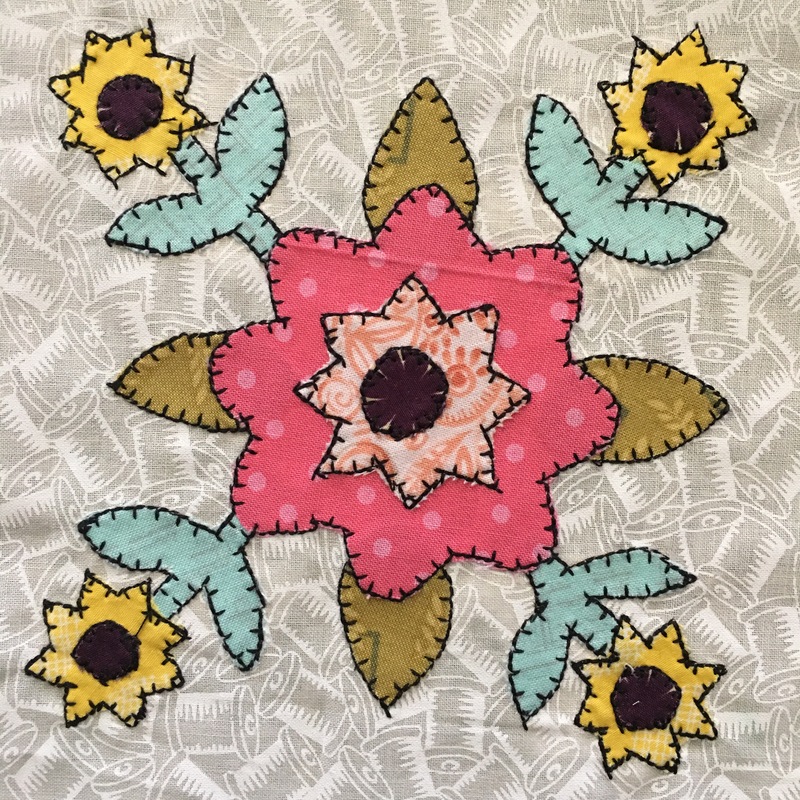 Fleur de Lei– I remember seeing these appliquéd quilts when I went to Hawaii and was so impressed. If I ever go back to Hawaii, I will buy some fabric and make my own Fleur de Lei Quilt. 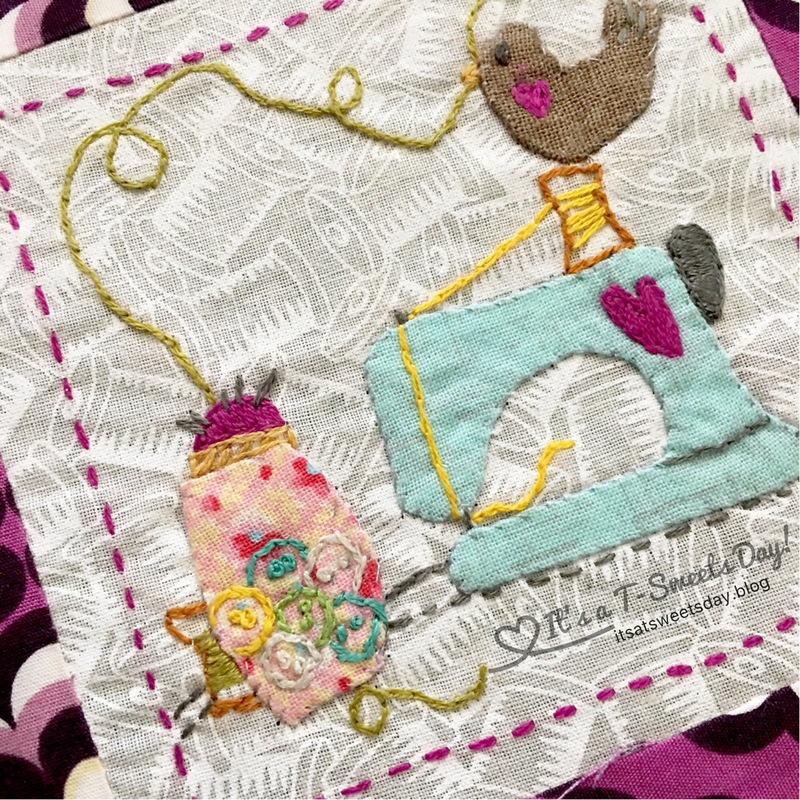 In the Sunshine– My machine has a small alphabet stitch. 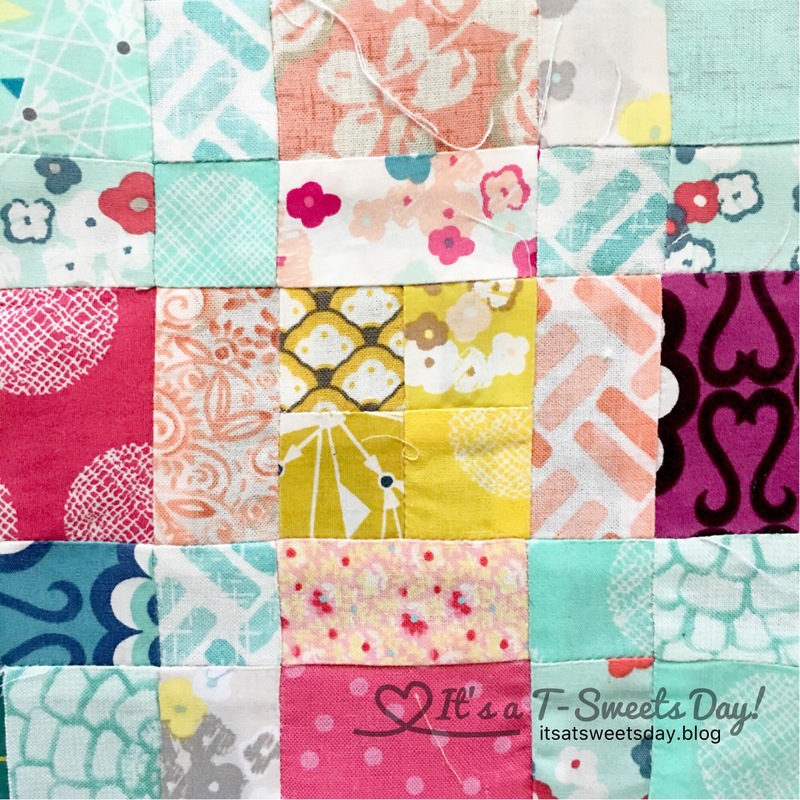 I thought this block was the perfect block to wave the Splendid Sampler and date on! Whew! 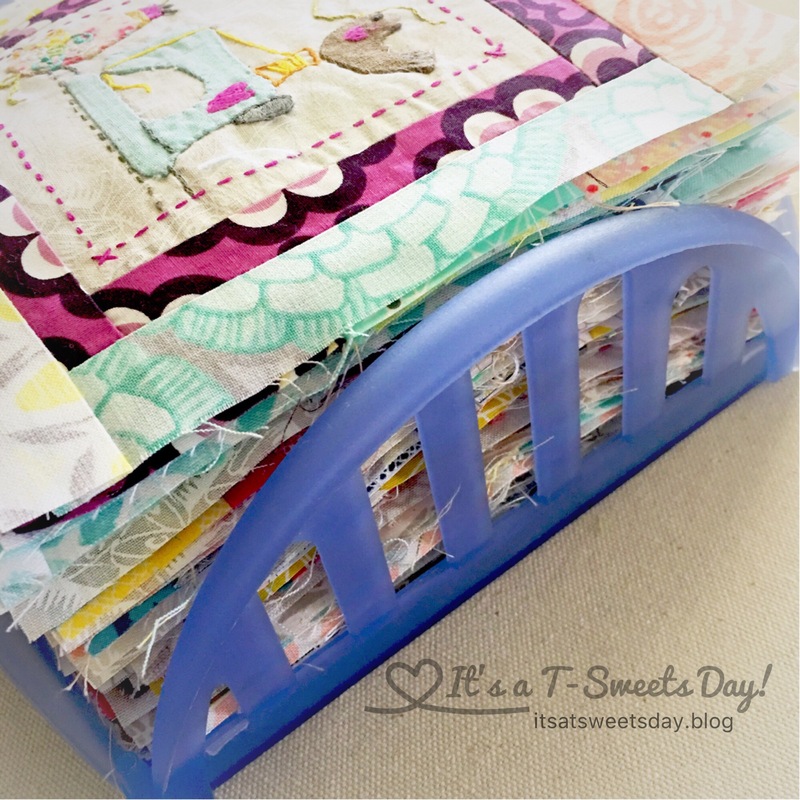 What a lot of sewing! I still have about 20 to go, but I can do this!! Here is a computer lay out of most of my blocks. SWEET!!! I can’t wait:)!! Wow….just wow! That looks awesome! 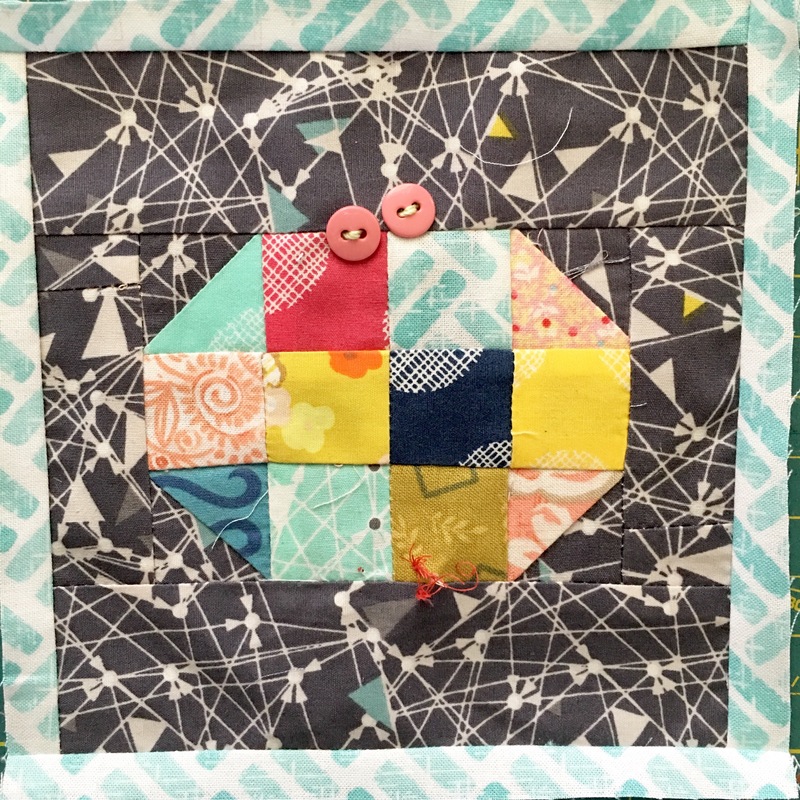 I agree on the buttons….I might take them off foe quilting. I am definitely not hand quilting;). I hope to have this done by summer….hope hope hope! I know what you mean! 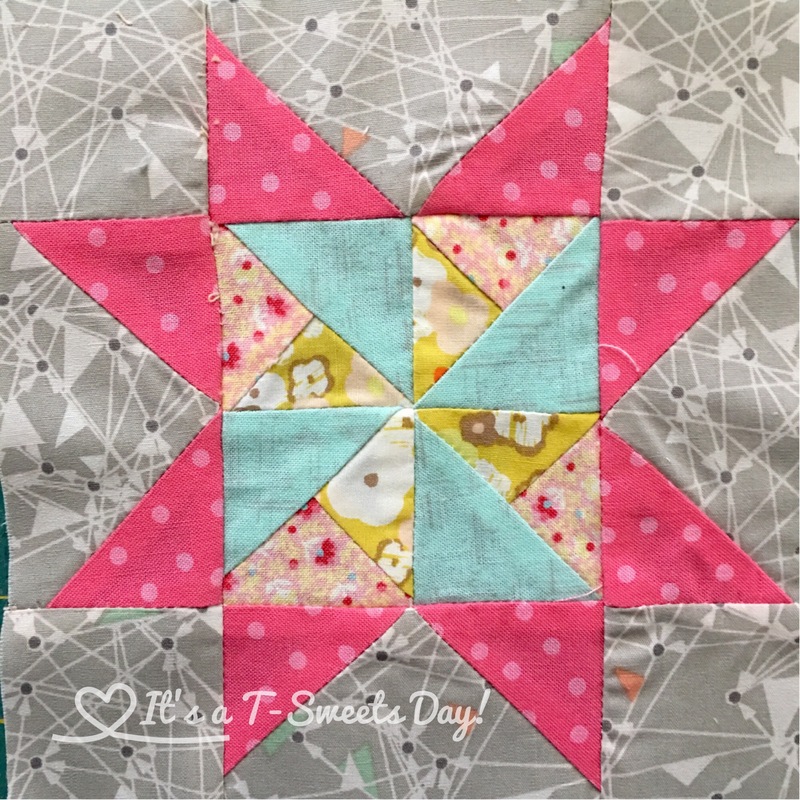 This is seriously one long, difficult QAL! 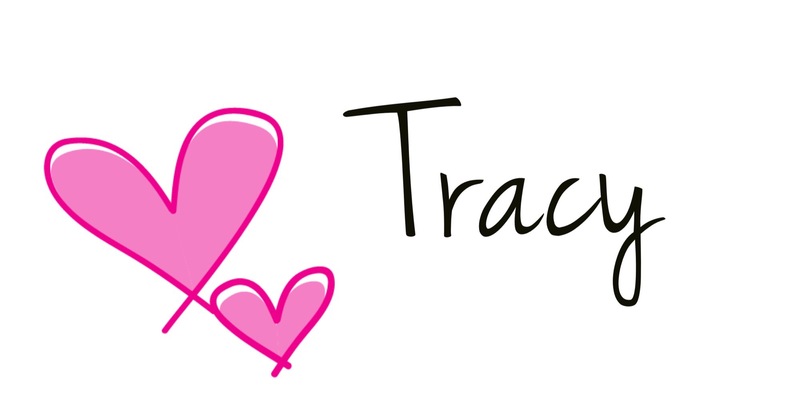 Looking great Tracy! How many do you have left to do? You are very close! Hurrah! Wow! I love all the color in it! 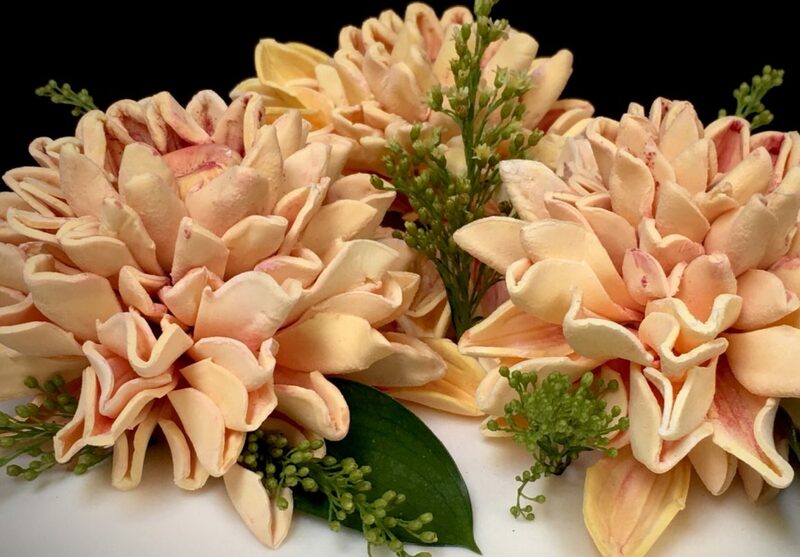 I was the same with you on Dedication Rose – I didn’t think I did a great job sewing it. But after quilting it today it looks a lot better, at least to me. You’re so close to the end now! Every day! Sewing brings a lot of joy, doesn’t it? Thank you Nicola! Have you started your Sunday Shawl? Looking great Tracey! Love how you labeled the flag. I did the same thing, but on the “Love Piece Hope” block. Wish I would have put the splendid sampler on one too like this. 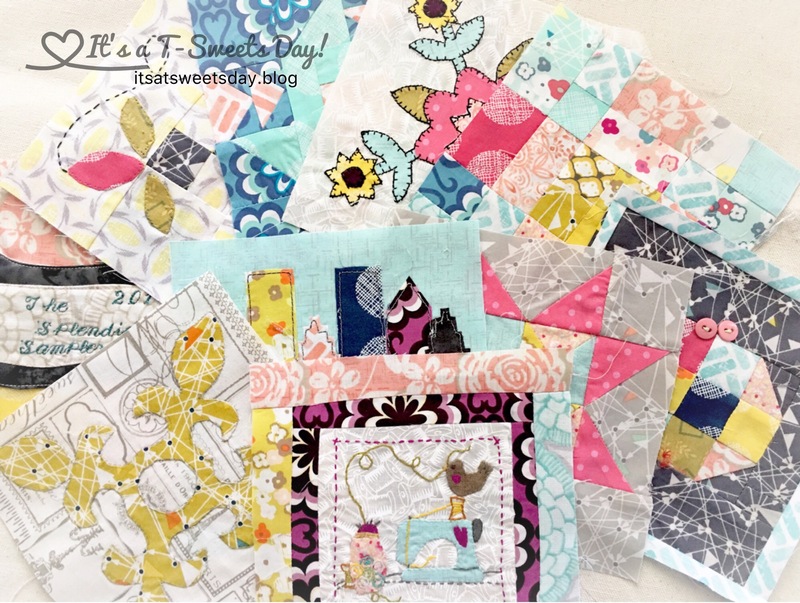 Wonderful collection of blocks! 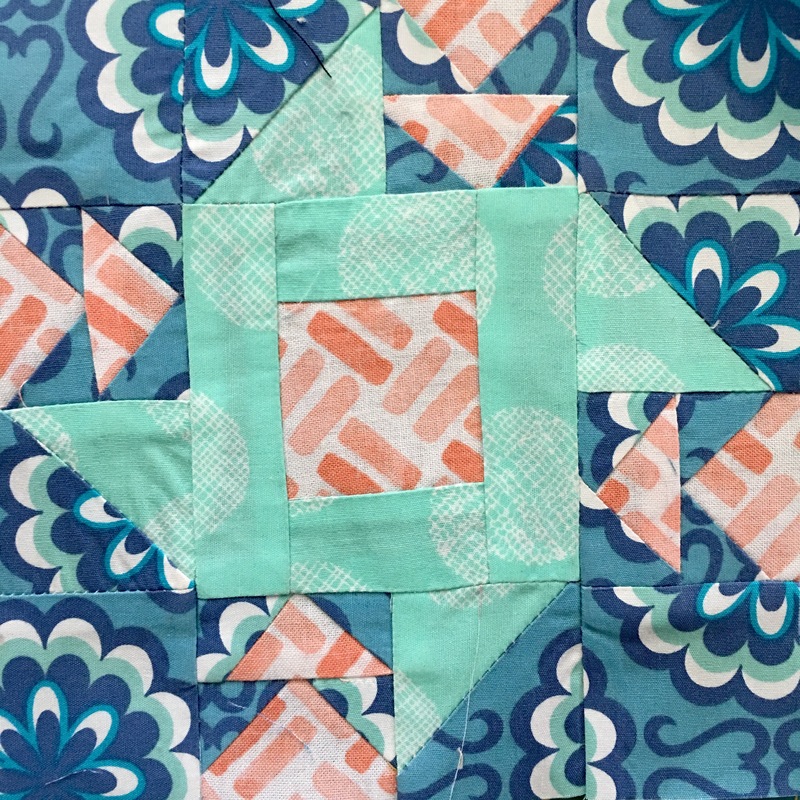 I just upsized that #66 block to a 12″ block for a friend an will do a tutorial on it in a day or two so she has it to follow when she sews. I really love the way it looks, and it will go in an American Heroes quilt sometime soon. Where did you get that blue plastic block holder?